450 lb Capacity - SHIPS FREE! 700 lb Capacity - SHIPS FREE! The easier a patient is to lift, the better a facility can operate. 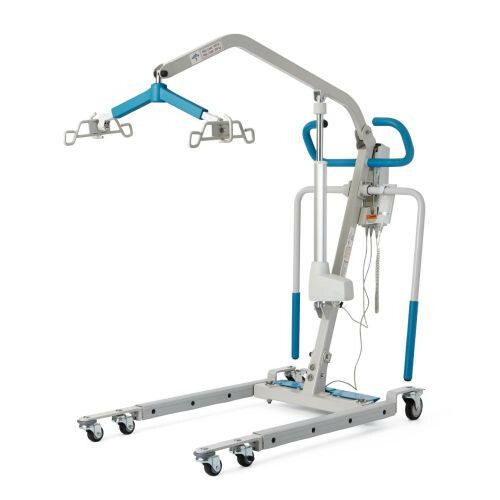 Medline, manufacturers of several power electric patient lifts, created the Power Base Electric Patient Lifts to make lifting patients easy, simple and efficient in any setting. 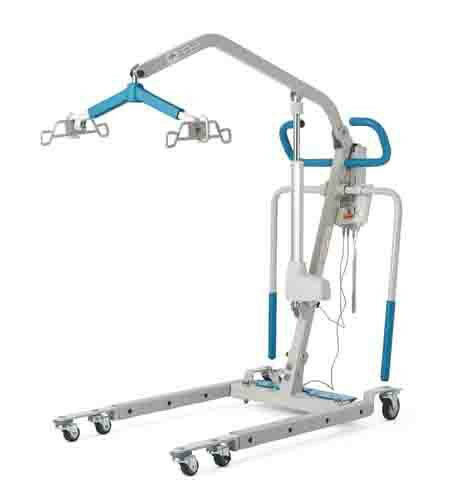 At its base, the patient lift is battery operated and is able to spread to fit under a bed. On a full charge both the 450 and 700 Series models are able to perform 90 lifts. It can also be easily spread out to conform around a space such as a bathtub. The controls offer differing speeds in order to allow the user to control the pace they want to lift the patient, and one control is compatible with both the models. 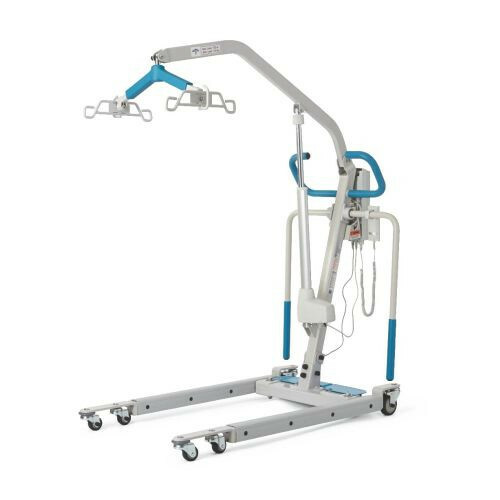 The cradle uses a six-point system to lift the patient from nearly any position and at any location. It can even lift a patient from the floor in case of an emergency. The lifts are available in two models, 450 and 700. Each model number corresponds to its maximum lifting capacity. Available in 450 lb and 700 lb Capacity Versions. Is this item electric or battery operated? It can be used both ways. If electricity is not available, batteries can be placed in the device to get it to operate properly.